Postcards From Africa #6: WAAW Foundation – Changing the Narrative and empowering African Girls through Science, Technology, Engineering and Mathematics (STEM) Education. This is an excellent season for giving back and WWN’s spotlight is on: Dr Unoma Ndili Okorafor and her amazing team at WAAW Foundation (Working to Advance African Women). 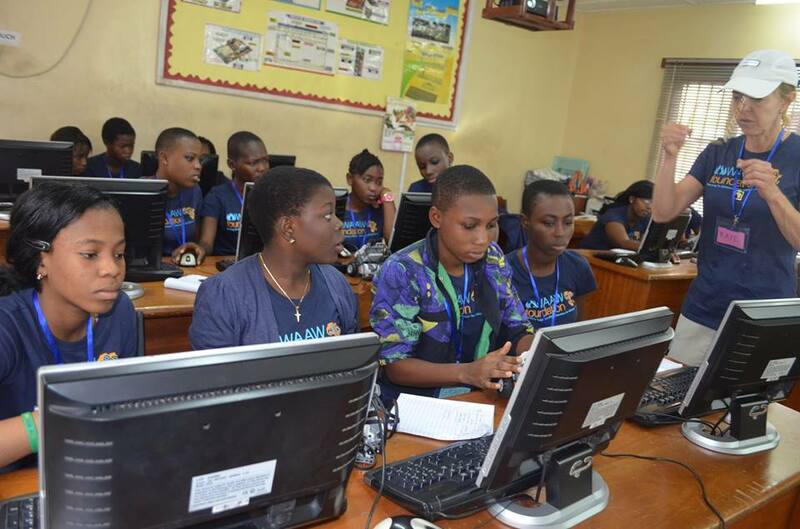 WAAW is committed to bridging the gender-technology gaps in Africa by operating STEM (Science, Technology, Engineering and Mathematics) camps for teenage girls throughout Africa. WAAW Foundation has launched 13 STEM Cells on college campuses in 8 countries, including Nigeria (3), Kenya (2), Ghana (1), South Africa (2), Malawi (1), Uganda (1), Cameroon (2) and Togo (1). They provide scholarships for teenage girls to attend our STEM camps and to continue on to college. They envision a STEM camp for teenage girls in every African country. Exciting Announcement: It gives me pleasure to share the launch of WAAW Foundation’s “Help An African Girl Achieve STEM Education” campaign. On behalf of Dr Unoma and WAAW Foundation, we’re reaching out WWN community of friends, partners and donors to seek your support. WAAW Foundation’s goal is to raise $20,000 for 2015’s STEM & CS camps in Nigeria & Kenya, and gaining momentum in the first 96 hours may get their campaign featured on Indiegogo’s home page! In Dr Unoma’s words: “Please help us reach our goal and contribute to the education of girls in Africa. For those of you who are enraged by the recent kidnappings of girls in Nigeria because they dared to get an education, join us in STANDING UP to push back against these unconscionable ideologies that deprive girls around the world, of a hope and a future. Consider giving any amount. More importantly please share our campaign on your Facebook & social media (Twitter Linkedin) platforms. The more shares, the greater our chance of getting our movement’s message out and raising more funds. Thank you so much. Be social! ← Postcards From Africa #5: Celebrating a New President and Revisiting the Paradigm of Accountability.